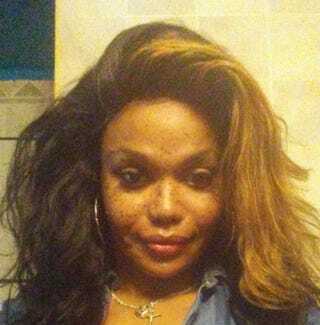 A transgender woman in Buffalo, N.Y., was fatally shot Tuesday afternoon, and her death is being investigated as a hate crime. The Buffalo News reports that Tonya Harvey, 35, was shot around 5:30 p.m. on a dead-end street. She died at the scene. Police have not released any other information regarding the shooting. Harvey, who was known as “Kita” to her friends, was reportedly originally identified as a male by police, but they later corrected their statement to reflect her gender identity. Harvey is the third trans person to be killed in 2018. On Jan. 5, trans activist Christa Leigh Steele-Knudslien was killed in North Adams, Mass. Her husband, Mark Steele-Knudslien, confessed to the murder and turned himself in to the North Adams Police Department. Friends expressed their sadness over Harvey’s death on her Facebook page. Ari Moore, a Buffalo transgender advocate, told the Buffalo News that trans women of color can be targeted in hate crimes. “The hatred, the bigotry and the aggressive attacks on trans people is almost an everyday occurrence in our lives,” she said. Moore said that transgender people are frequently shamed and ridiculed when out in public, including on public transit or when seeking medical care. According to the National Center for Transgender Equality, a Washington, D.C.-based social justice advocacy group, trans people face a disproportionate amount of physical and sexual violence. In addition, the center said that more than 1 in 4 transgender people have been victims of a bias-driven assault, with rates even higher for trans women and transgender people of color.